Gladius There are 27 products. 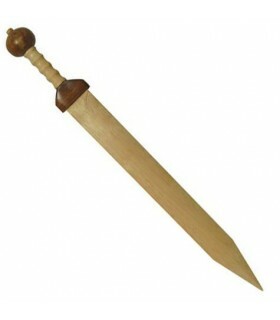 Gladius wooden sword for training. 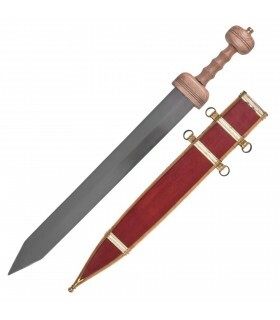 Manufactured by Windlass Steelcrafts® Not only were the wooden swords used by the Gladiators to train, but if he survived the sand and lived long enough to retreat, he was granted a "gladius" of symbolic wood, or rudis, as a sign of discharge and freedom. 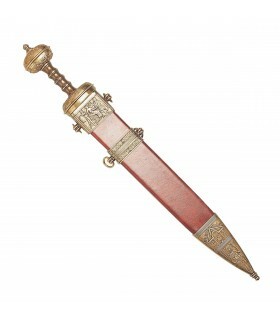 Splendid bronze reproduction of the Roman sword. Julius Caesar, Gaius Julius Caesar (101 BC - 44 BC) was the best head of state, both military and political, of ancient Rome. Sword of Julius Caesar, Roman, first century BC Gaius Julius Caesar (Gaius Julius Caesar;.. Rome, Italy, July 13, 100 BC - Ibid, 15 March 44 BC) was a military leader and politician of the late Republican era. 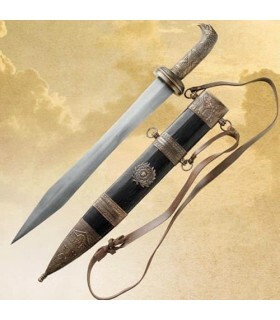 Sword of gladiator, Roman, first century AD Gladius is the Roman term for the sword. 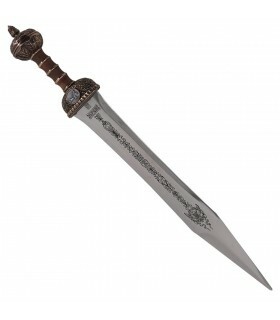 Today it applies to the typical sword of Ancient Rome used by legions. 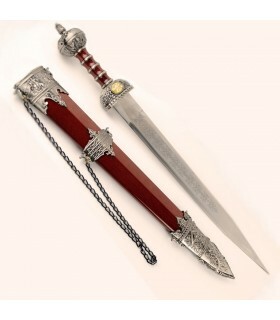 It had a length of about half a meter wide and straight, double-edged blade. 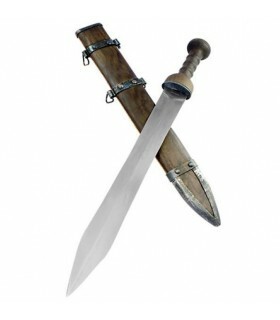 gladius derives from the word gladiator. Gladius Roman republican dated 300-100 BC It is decorative. Carbon steel blade. Handle, handle and knob in wood. Includes decorated sheath. 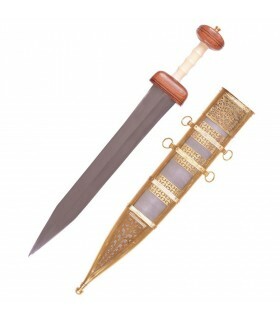 Gladius Sword of Julius Caesar (finished in gold or bronze). It can be purchased with the sheath which in principle is decorative. No belt clip. 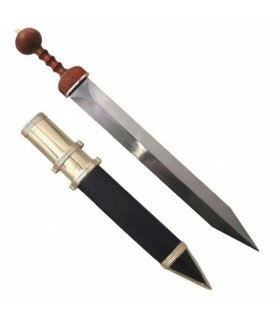 Gladius for training, 79 cms. 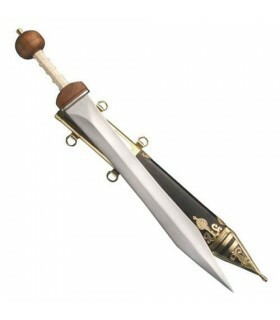 Gladius hard, stiff and sturdy sword. 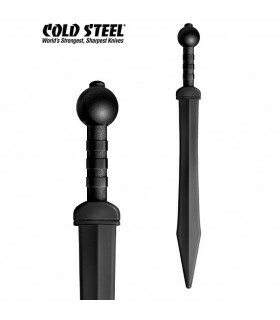 Made of polypropylene for training by the prestigious Cold Steel. Overall length: 80 cms. Pompeii Gladius sword type, or Pompeii, functional. Sheet High Carbon Steel 1065 Handle and handle wood. 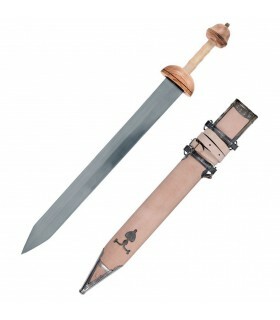 Wood sheath encased in metal and leather included. 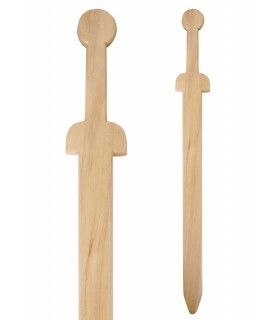 Roman sword Gladius wooden practices. Approximate length: 70 cms. 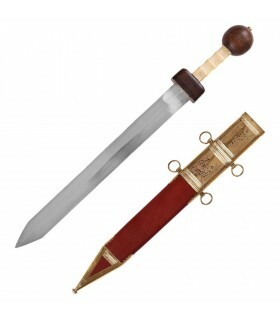 Replica of the Roman sword Gladius Pompeii. It is decorative. Steel blade, guard and knob in wood. Includes sheath with metallic finishes. The original gladius Pompeii is exhibited at the Archaeological Museum of Naples (Italy). 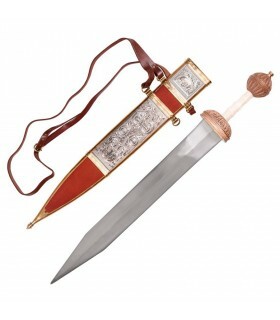 Replica of the Roman sword Gladius Pompeii decorative. Carbon steel blade, wood handle and handle and bone grip. 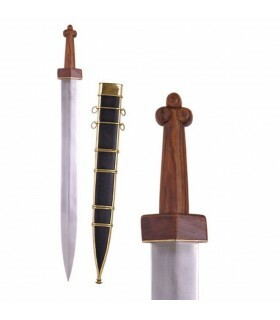 Includes wooden sheath with metallic finishes. 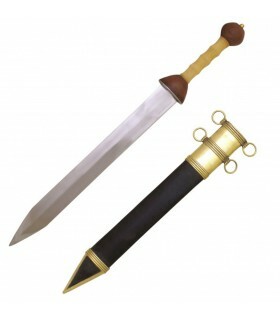 Replica of the Gladius Romana type Mainz from the 1st century BC It is decorative. Sheet in steel, guard and knob in wood and handle in bone. 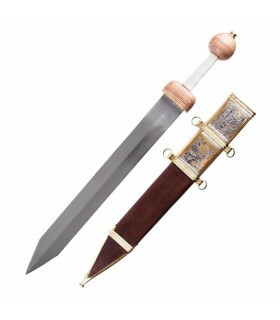 Includes wooden sheath with metallic finishes. 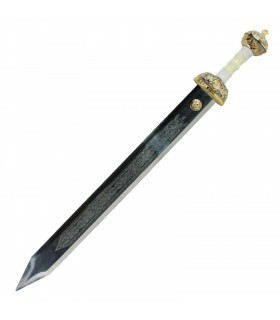 Functional sword Gladius model Maintz. The blade is made of steel with a high carbon content. 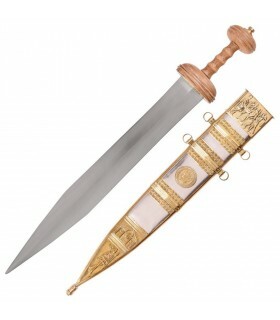 This model of Gladius Maintz brings an ivory imitation grip. 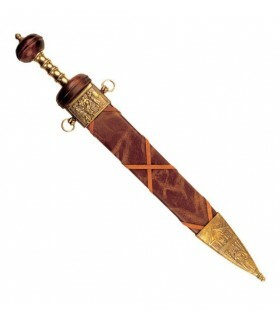 The sheath is made of wood and with a leather covering and metallic decorations. 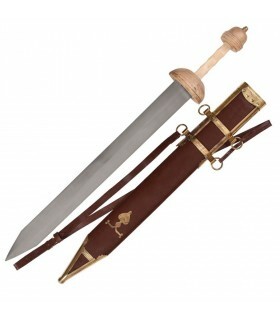 Gladius Tiberius sword with Mainz sheath with double-edged blade. Made with carbon steel blade EN45 and handle and knob in wood. The most feared weapon for melee. 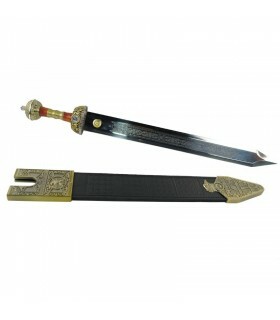 It includes leather sheath with decoration in brass and bronze and rings to hang in belt. 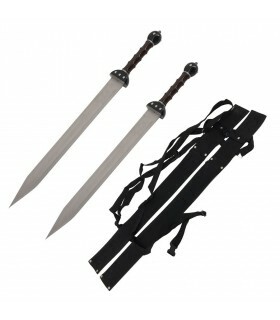 Condor Sword Gladius type Mainz functional. Made with 1075 carbon steel blade and handle in walnut with leather coating. 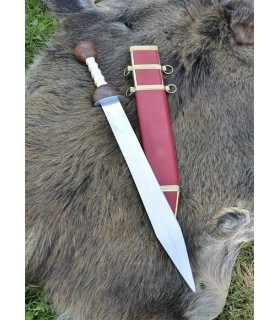 Includes sheath made of walnut wood with rustic metallic finishes. 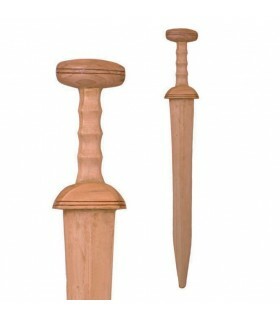 Gladius for practices made in wood. Perfect to train the movements. 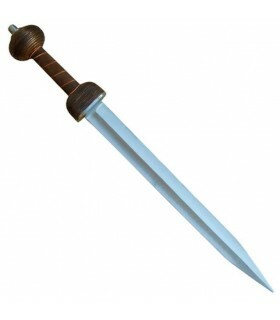 Gladius Roman Official with forged and tempered blade in high carbon steel. Handle and knob decorated with brassized finishes. Includes a leather-lined baldric with leather case with matching brass details.